Thank you for your interest in selling your work at Blu Moon Artisans. To have your work considered for Blu Moon Artisans, we ask that you submit samples of your work, either originals or on CD. If submitting electronic images, please make sure they are the best quality possible to facilitate our committee in making a decision. If Blu Moon Artisans finds the work was misrepresented on the CD, we reserve the right to refuse the items. Your submission must include a short artist biography, media, and price range. Note: Blu Moon Artisans focuses on selling original, handcrafted pieces. Mass produced items will not be considered. You will be notified if your work has been accepted. If your work has been accepted, you will be presented with an artist agreement. · Blu Moon Artisans operates on commissions only. We do not purchase wholesale. · Commission rates: Artists receive 65% of the sale amount. Blu moon Artisans Retains 35% of the sale amount. · Blu Moon Artisans does not collect HST. It is the responsibility of each HST registered artisan to remit HST on their portion of each sale. · Blu Moon Artisans is covered by fire and public liability insurance only. Artists are responsible for their own insurance coverage on any works displayed and/or stored at Blu Moon Artisans. 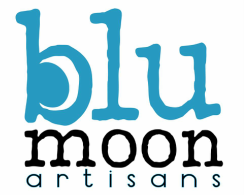 · Blu Moon Artisans Committee will conduct a quarterly review at which time if an artist has not sold anything during that three month period they may be asked to either remove or refresh their existing work. Thank you for your interest in Blu Moon Artisans.